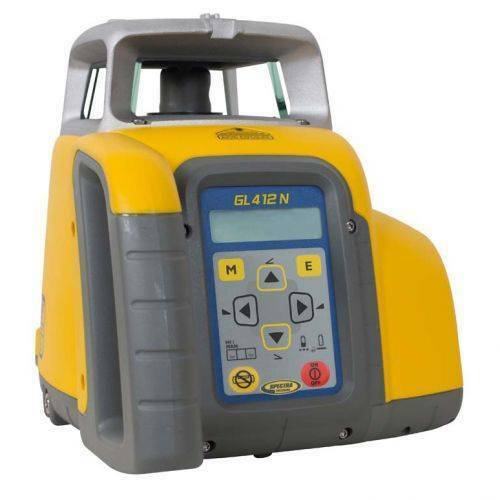 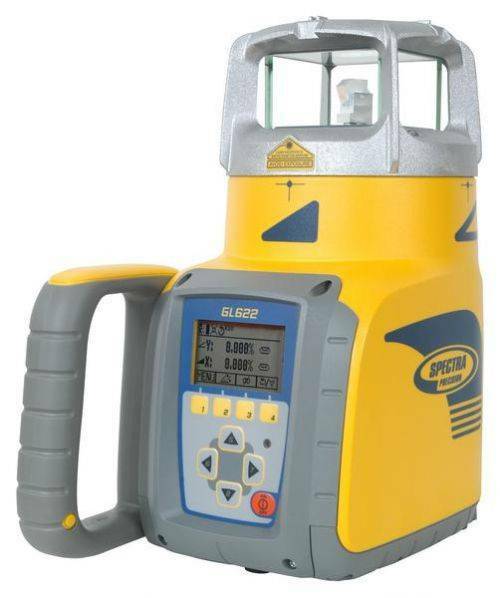 The automatic self-leveling Spectra Precision® HV302G-1 Horizontal/Vertical Laser offers exceptional versatility and superior green beam visibility for increased productivity at a great value. 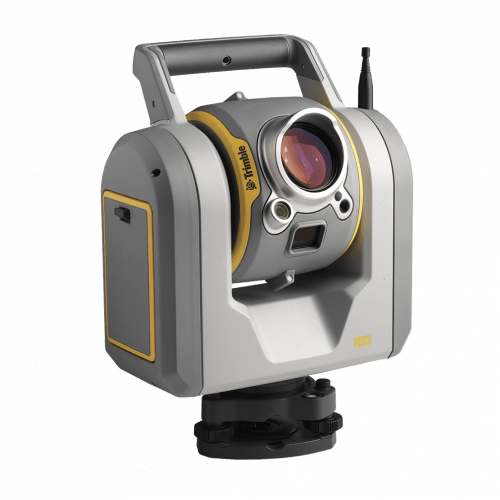 The HV302G is capable of handling a wide variety of horizontal, vertical and plumb applications optimized for interior projects. 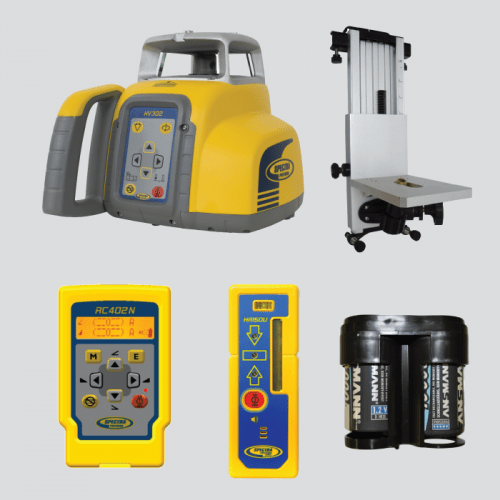 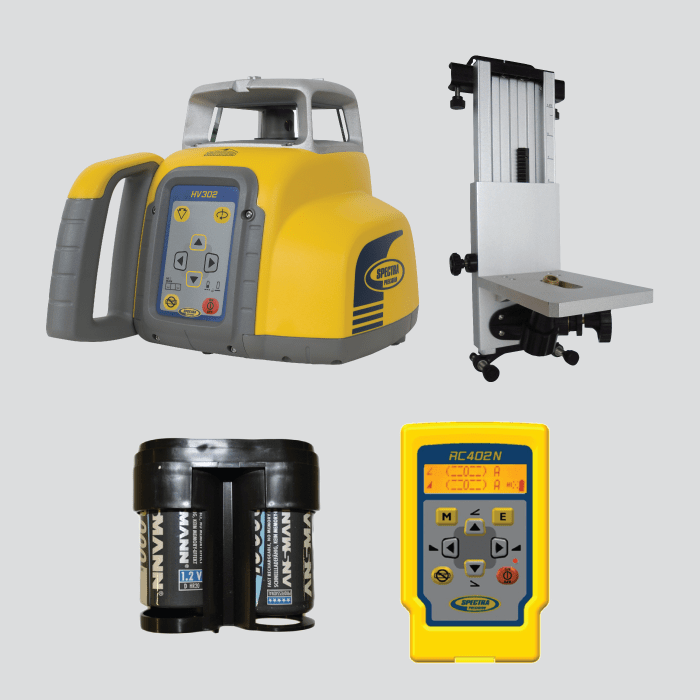 This system bundle includes a M302 Wall Mount, RC402N Radio Remote Control and NiMH /Universal rechargeable charger.